Born and raised in Southern California a Latino can gain an identity crisis. You’re not quite 100% accepted as a “true Mexican” by the Mexicans and not seen as an American by los gringos. What Chef Thomas Ortega, 35,did to overcome the complexities of this dual persona is to create a restaurant menu for Amor y Tacos in Cerritos, Calif., that plays and even giggles at some of the traditional food from Mexico and the U.S. He does so with finesse and style. Recently, we had a chance to meet up with the chef who lives in Santa Ana, Calif., with his wife and two children, and ask him a few questions. What inspired you to open the restaurant? I wanted to bring a good quality Mexican restaurant to my hometown. Amor y Tacos is the kind of food I want to eat. If you don’t like it, oh well. Who were your mentors in the culinary world? When I first got into this industry, I was inspired by a lot of the big name chefs, but it was always the people I worked with behind the scenes in the kitchen that taught me my craft. In every fine dining kitchen, there’s that one Latino cook who has been there for 15 or 20 years. While starting out in my career I immediately connected with that one person, maybe because he looked like my tio. What inspired you to go into culinary arts? I always loved to watch my grandma cook.One of the first jobs I took was working for a mom and pop pizzeria run by a little Italian lady. She wanted me to work the register, but I always wanted to be back in the kitchen. Eventually, she told me to go to school and learn how to cook so I did. Whether she knew it or not, she inspired me to become a chef. What is your favorite Latin dish? My “go-to” is my grandma’s homemade chile Colorado or chile verde with homemade flour tortillas. My grandma is from Chihuahua, but moved to El Paso very young. I love her cooking. What is the next big thing in Latin cuisine? Mezcal is going to be the next big thing across America. You see chefs cooking with it and mixologists playing more with it in cocktails. A few years ago it was tequila, now it is whiskey, next it will be Mezcal. 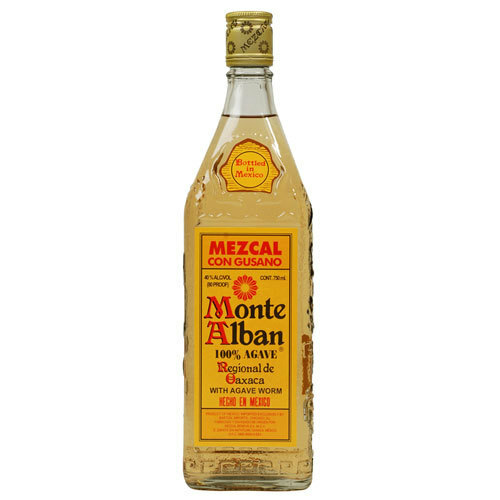 I like the OG Monte Alban mezcal with a worm in it from Oaxaca. I also see the modern play with the taco just keep on going. It will never stop and continue to spread into the Midwest and east coast. No joke – I have milk, eggs, Tapatio, all-natural maple syrup, string cheese, corn tortillas, True Moo strawberry milk for my daughters, homemade salsas, and fish sauce given to me from a friend. But the ultimate thing I have is a Grade A foie gras.